20.395 million… let’s let that number sink in. That’s the number of guests that visited Magic Kingdom in 2016, making it the most visited park in the world once again for its eleventh consecutive year! With that being said, it doesn’t matter if it’s off-season or peak-season, guests should expect a crowded day at Magic Kingdom. No worries however, as surviving a crowded day (and having a blast while doing it!) is absolutely doable. Check out these 14 ways to survive a crowded day at Magic Kingdom. Purchase park tickets and link them to your MDE account. Make dining reservations with your MDE account at 6:00am EST on the 180-day mark of your Advanced Dining Reservations (ADR) window. Research rides via blogs and YouTube, then create a list of “must-do” attractions and entertainment for your party/family. Make three FastPass selections at 7am EST, 60-days in advance of your stay (or 30-days if a non-Disney resort guest). Be sure all of the above is linked to your MagicBand via your MDE account so you’ll be good to go upon arrival! Be in the loop on how Magic Kingdom transportation works and take advantage of the best options available to you. We’d highly (HIGHLY) recommend staying at a Disney Resort, as the transportation perks alone for Magic Kingdom are excellent. 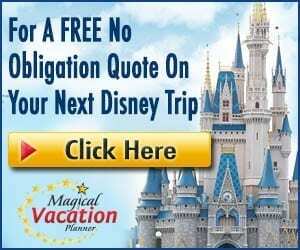 By staying on property, you can take a Disney bus (all Disney Resorts), monorail (Magic Kingdom Resorts), boat (Magic Kingdom Resorts), or even walk (Contemporary). 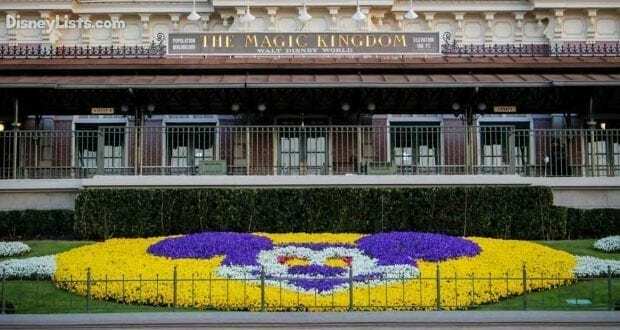 As a Disney Resort guest, you can avoid the Transportation Ticket Center (TTC) like the plague… saving you much time and effort when both arriving at Magic Kingdom and heading out for the day! Magic Kingdom typically opens at 9:00am but this can change when Extra Magic Hours for Disney Resort guests are available in the morning from 8am-9am. A great plan if there are no Extra Magic Hours on the calendar, is to make an early breakfast reservation at 8:00am. 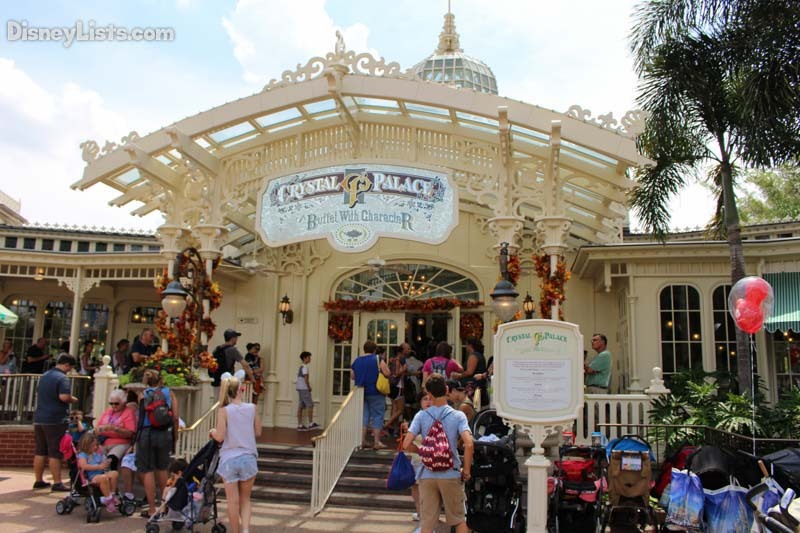 We like to snag a Crystal Palace breakfast reservation at 8am, allowing us to gain access into the park around 7:30am. Since Disney does let guests on Main Street U.S.A. before it actually opens, this doesn’t mean you’ll have Main Street U.S.A. to yourself, but it will be much less crowded as you head to breakfast. Wrap up your breakfast reservation with Pooh, Tigger, Piglet and Eeyore before the 9:00am park opening, so you can be out in the park, ready to go when the park officially opens. At park opening (9:00am in this example), most guests take off to Fantasyland to hit Seven Dwarfs Mine Train or Tomorrowland to hit Space Mountain. Instead, we recommend going left – towards Adventureland and Frontierland first. If you’ve eaten at Crystal Palace, you’ll be right next to where you need to go! Adventureland and Frontierland are much less crowded first thing in the morning! 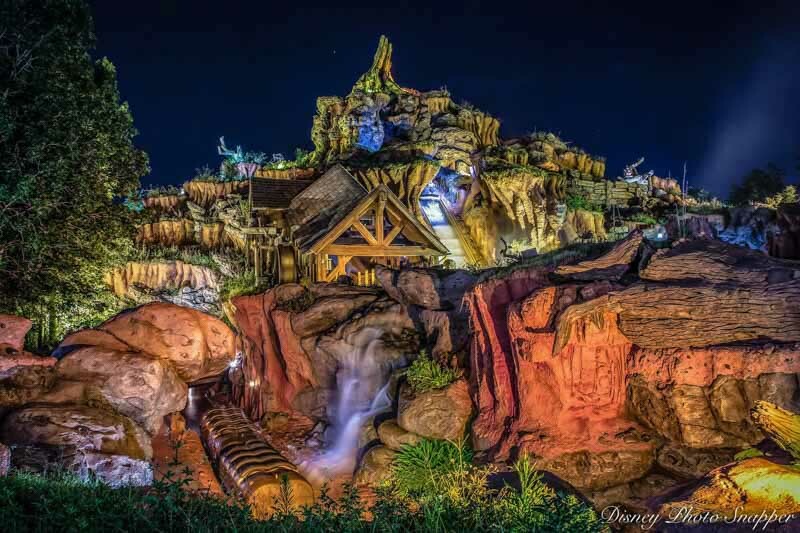 Top attractions we’d recommend hitting first thing in the morning are Pirates of the Caribbean in Adventureland, then Big Thunder Mountain and Splash Mountain in Frontierland. You’ll be passing other attractions but if you get these three popular attractions done in the first hour, you’ll likely be able to visit the others with a FastPass later in the evening. Since you’re planning on knocking out three popular attractions within the first hour or so, we’d recommend making your FastPass selections for the late morning. An example of this would be Peter Pan’s Flight from 9:30-10:30am, Seven Dwarfs Mine Train from 10:30-11:30am, and Space Mountain from 11:30am-12:30pm. With this example, you’ll be able to hit Peter Pan’s Flight closer to the end of your FastPass time (10:15ish), followed by the other two attractions shortly after. Keep in mind, you’ll have a gap of time between when you ride Seven Dwarfs Mine Train and the end time of your Space Mountain FastPass. This may be a good time to ride whatever quieter attractions you can squeeze in near you, such as Voyage of the Little Mermaid, Prince Charming Regal Carrousel, Mickey’s PhilharMagic, and It’s A Small World. This could also be a good time to meet princesses at the Princess Fairytale Hall. So, let’s say you’ve finished your three initial FastPass selections by 12:30pm. As soon as possible, log into your My Disney Experience App on your phone and book your fourth FastPass. Our fourth FastPass selection usually goes to attractions like Haunted Mansion, Buzz Lightyear Space Ranger Spin, Enchanted Tales with Belle, Barnstormer, or Tomorrowland Speedway. 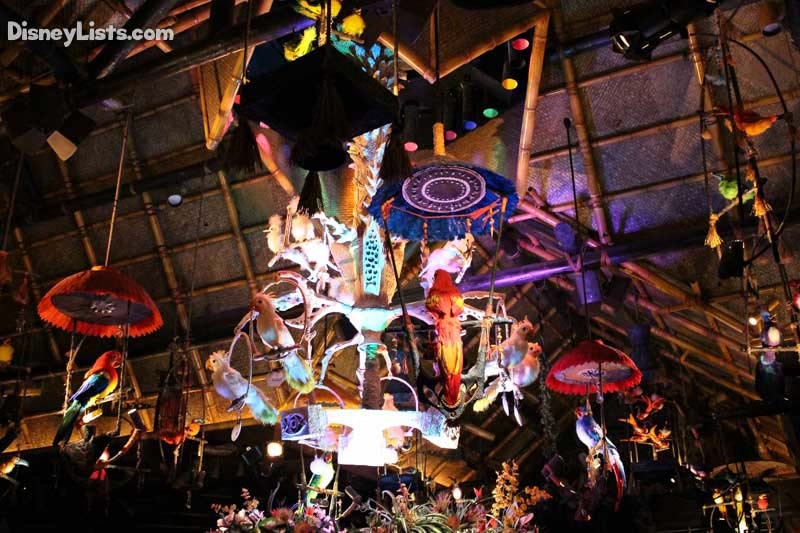 If there is time to visit one of these attractions with a FastPass before lunch, go for it! Remember that after you’ve used your fourth FastPass you can then book your fifth FastPass and so on until the park closes. With our example above it’s likely sometime around 1:00pm. You’re Crystal Palace breakfast is wearing off and you’re hungry for lunch or a heavy snack. We’d recommend using Mobile Ordering from your My Disney Experience account to order lunch from a list of quick-service locations in Magic Kingdom. For our example, we’d recommend lunch at Casey’s Corner. You can even order you’re lunch while waiting in line to board your last FastPass selection, Space Mountain! Once you’ve arrived at Casey’s, just say you’ve arrived on your app, and they’ll prepare your food and you don’t have to worry about fighting the ordering crowds. You have your lunch or snack in hand… we’d recommend forgetting about a table and instead sitting on the Main Street U.S.A. curb. The Festival of Fantasy Parade is a daily parade that typically begins at 2:00pm. It is always on our must-do list with amazing floats and loads of characters! It’s important to line up early along the parade route so you can have a good view. With your hot dog in hand, find a spot along the curb by 1:15pm. Enjoy your lunch while holding your spot for the parade! One of the best ways to survive a crowded day at Magic Kingdom is to take a mid-day break. This is especially recommended if you have young children or if the heat and crowds are just making you act like Grumpy from the Seven Dwarfs! 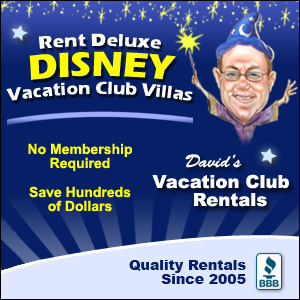 If you are staying at a Disney Resort, you can head out for a mid-day nap or even a refreshing shower after the parade. If you aren’t staying at a Disney Resort, stay in Magic Kingdom but look for a place to relax for a little bit such as the Plaza Gardens or the Tomorrowland Terrace. If you are planning to push through and don’t need a mid-day break after the parade, have at it! Keep in mind attractions will have long lines, but hopefully by now you’ve wrapped up the most popular ones. Use that 4th or 5th FastPass and keep snagging another one as soon as you finish the previous one. This is a good time to ride attractions that you may not need a FastPass for like Monsters Inc. Laugh Floor, Walt Disney’s Carousel of Progress, Dumbo, Hall of Presidents, Enchanted Tiki Room, Jungle Cruise, or Country Bear Jamboree. If you are coming back to Magic Kingdom from your resort mid-day break, we’d recommend being back by 5pm for our example above. If you’ve pushed through, chances are you are pretty exhausted at this point and need a nice, air-conditioned break away from the crowds. We’d recommend making a 5:30pm dining reservation at Be Our Guest Restaurant. Keep in mind, this will need to be booked 180-days in advance as noted in #1. Enjoy an awesome meal and even have a chance to meet the Beast for dinner. This is also a nice time to relax with a glass of wine! Continuing with our example, it’s likely right around 6:30pm. Dinner is over and you have a full stomach! Hopefully, before dinner, you were able to grab a FastPass that will cut down on at least one attraction line after dinner. If you took a break mid-day, do your best to hit a couple of the less popular attractions as mentioned in #10. If you have been in Magic Kingdom all day, now would be a good time to slow down and enjoy a little shopping and taking in of all the park details! This time between dinner and nightly fireworks is also a good time to see if you’ve missed anything on your must-do list and make it a priority to do those attractions even if you don’t have a FastPass for them. Our favorite evening FastPass attraction if we can snag one is for meeting Mickey Mouse at Town Square Theater! The regular Magic Kingdom fireworks (Happily Ever After) and projection show (Once Upon A Time) vary in timing. Be sure to check out the times for each of these nightly entertainment pieces in advance! For our example, we will say Happily Ever After begins at 9:00pm with Once Upon A Time following at 9:45pm. If the fireworks begin at 9:00pm, you’ll want to be done with your evening attractions by 8pm. At this time, especially during a crowded Magic Kingdom day, we’d recommend hunkering down in a fireworks location an hour before the fireworks begin. The very best place to see the fireworks is when standing behind the Cinderella Castle hub before reaching Main Street, U.S.A. This gap allows for awesome views with little to no obstruction. We especially like to hit the restroom then go snag a couple of snacks (pretzels and ice cream!) and drinks before heading to our fireworks location. We also pack glow sticks for the kids in our bag and fun small toys such as a deck of cards. Be prepared especially as the show is about to start as you will be crowded in! Have a crowd phobia? Check out the two Happily Ever After Fireworks Dessert Party options. It’ll cost you but you won’t feel nearly as crunched in. Keep in mind that after Happily Ever After ends (an 18-minute display), you will have some time in between to wait for Once Upon a Time to start. Just hold tight… if you leave, you will lose your spot. After Happily Ever After and Once Upon a Time have ended, stick around! Sure, the park in this example closes at 10:00pm, but that doesn’t mean you have to rush out at 10pm. There will be a mass exodus happening down Main Street, U.S.A. that you can avoid dealing with. Let the crowds rush out while you take your time shopping down Main Street or just enjoy gazing at the beauty of Cinderella Castle at night! There is a quiet and not-so-well known experience most guests miss called “The Kiss Goodnight”. The Kiss Goodnight takes place roughly 30-minutes after the park closes (so for this example, 10:30pm). It’s a sweet way Disney tells guests that it’s time to go home! A narration comes over and the Castle sparkles. It’s definitely worth seeing! Even better, on a crowded day, this is especially welcoming because most guests rush out after fireworks, jamming up the transportation. If you stick around until after The Kiss Goodnight, chances are your bus or monorail back to your Disney resort will be much less packed. Well, you did it! You survived Magic Kingdom crowds! Just remember, not everything will go according to plan and that’s ok! Have your plan but go with the flow when necessary. You are with those you love at the most magical place on earth after all, so don’t sweat the small stuff.